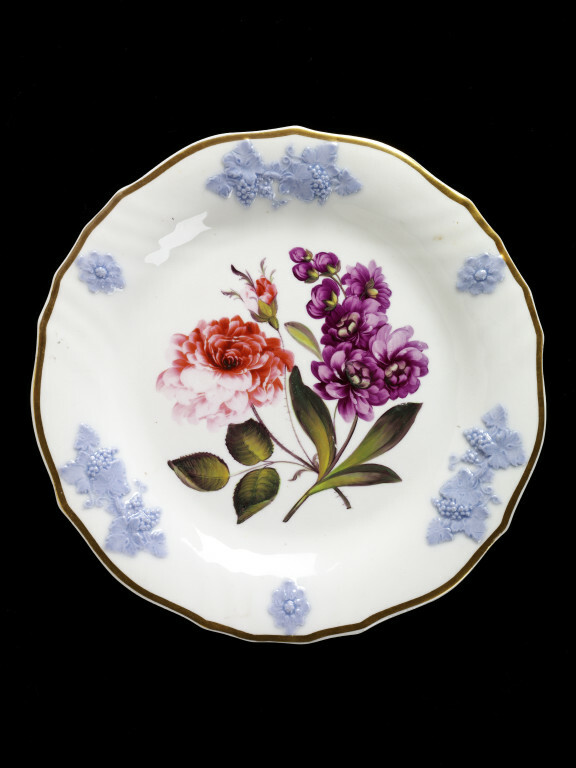 Plate of white bone china painted with enamels, gilded and with applied decoration. With a wavy edge. 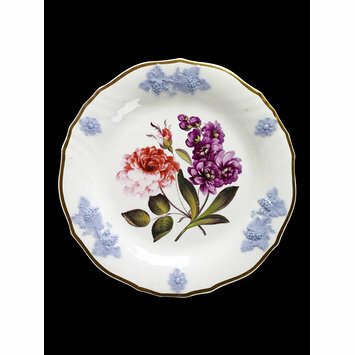 The flange is decorated with moulded and applied vine leaves, grapes and flowers stained lilac colour. The plate has a gilded edge and the centre is painted with large flowers.